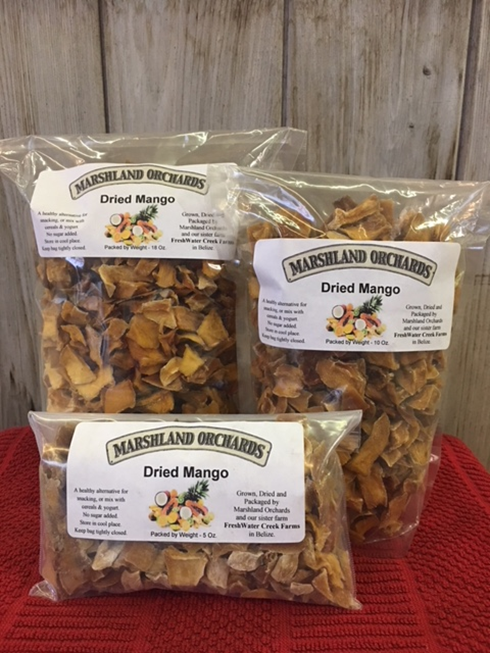 Grown, dried and packaged by Marshland Orchards and our sister farm Fresh Water Creek Farms in Belize. A healthy alternative for snacking. Tastes great with cereals or yogurt. No sugar added. Store in cool place. Keep bag tightly closed.